Finding the best ETFs with the versatility and track record to fit into almost any investment portfolio is not a simple task. But we did the homework and sifted through dozens of funds to arrive at the 10 best ETFs that represent diverse categories. This means that almost any investor can use these funds to build a diversified portfolio. Before we get into the list of funds, let's review the basics of ETFs to be sure that this investment type is appropriate for your investing needs. Even if you've never invested in ETFs, chances are good that you've heard of this versatile investment vehicle. But what exactly are ETFs? ETF is an acronym that stands for Exchange-Traded Fund. They're similar to mutual funds in that they are single securities that hold a basket of underlying securities. Like index funds, the vast majority of ETFs passively track a benchmark index, such as the S&P 500 index, the NASDAQ 100, or the Russell 2000. But that's where the similarities of ETFs and mutual funds end. Unlike mutual funds, ETFs trade during the day like stocks, whereas mutual funds trade at the end of the day. This provides greater versatility in choosing an entry point, potentially taking advantage of short-term fluctuations in price. However, ETFs can be smart investment choices for long-term investors, which is another similarity to their index mutual fund cousins. Because of their simplicity and passive nature, ETFs tend to have lower expenses than mutual funds. And because there is a very little turnover of the portfolio of underlying securities, ETFs are very tax-efficient, which makes them smart holdings for taxable brokerage accounts. Now with the formal introductions out of the way, you're only left with the task of choosing the best ETFs to hold in your portfolio. As with the strength of diversification with mutual funds and other investment types, it is wise to hold more than one ETF for most investment objectives. Spider S&P 500 (SPY): Opening to investors in 1993, SPY is the first ETF available on the market. As its name suggests, SPY passively tracks the S&P 500 index, which represents over 500 of the largest stocks in the U.S., as measured by market capitalization. This means that shareholders get a diversified portfolio of stocks like Apple (AAPL), Microsoft (MSFT), and Alphabet (GOOG). SPY can work well as a standalone investment for long-term investment objectives or as a core holding in a more diversified portfolio. Potential investors should be aware that, although SPY holds hundreds of stocks, short-term declines in value should be expected. The expense ratio for SPY is just 0.0945 percent or $9.45 annually for every $10,000 invested. This makes SPY cheaper than most S&P 500 index funds. iShares Russell 3000 (IWV): Investors who want broader diversification than the S&P 500 offers, will want to take a close look at IWV. This ETF tracks the Russell 3000 index, which represents approximately 3,000 U.S. stocks, most of which are large-cap stocks. However, IWV also holds small- and mid-cap stocks, which makes for a more diversified holding than S&P 500 index funds. IWV can be a smart choice for investors getting started investing with ETFs. The fact that IWV holds 100 percent stocks means that investors should have long-term time horizons and high relative risk tolerance. The expense ratio for IWV is 0.20 percent or $20 annually for every $10,000 invested. 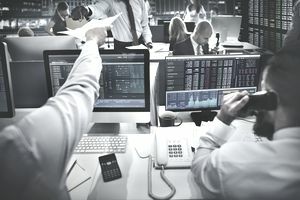 iShares Russell 2000 (IWM): This ETF can be a smart choice for aggressive investors wanting broad exposure to small-cap stocks. IWM tracks the Russell 2000 index, which represents about 2,000 U.S. stocks of small-capitalization. Small-cap stocks have more market risk than large-cap stocks but they also have the potential for higher long-term returns. IWM can make a good satellite fund in a portfolio by increasing earning potential while reducing risk through diversification. Expenses for IWM are 0.20 percent or $20 annually for every $10,000 invested. Vanguard S&P 400 Mid-Cap 400 (IVOO): Vanguard is best known for their high-quality, low-cost, no-load mutual funds but they also have a diverse selection of ETFs and IVOO may be the best mid-cap ETF on the market. Mid-cap stocks are often called the "sweet spot" of the market because they have historically averaged higher long-term returns than large-cap stocks while carrying lower market risk than small-cap stocks. This dual quality in an investment makes IVOO a smart choice to use as an aggressive core holding or as a compliment to an S&P 500 index fund. The expense ratio for IVOO is 0.15 percent, or $15 annually for ever $10,000 invested. iShares MSCI EAFE (EFA): If you had to choose just one foreign stock ETF to buy, EFA would be a smart choice. This ETF tracks the MSCI EAFE index, which represents over 900 stocks in the developed world regions of Europe, “Australasia” (Australia & New Zealand), and the Far East, which makes up the EAFA acronym. The stocks include large- and mid-cap holdings. Foreign investing tends to carry higher market risk than U.S. investing, which means that EFA is best used as a satellite holding in a diversified portfolio. The expense ratio for EFA is 0.33 percent or $33 annually for every $10,000 invested. iShares Core Aggregate Bond (AGG): In just one ETF, an investor can capture the entire U.S. bond market and this broad diversification makes AGG a solid core holding for the fixed income portion of a portfolio or as a stand-alone bond fund. For just 0.05 percent expense ratio, you can gain exposure to more than 6,000 bonds. Investing in sector funds is not for everyone but they can be smart additions to any portfolio for the purpose of diversification and for the potential to increase long-term returns. For the final four funds in our list of best ETFs, we'll highlight sector funds. Health Care SPDR (XLV): This ETF focuses on the health sector, which is known for its combined benefits of long-term growth potential and defensive qualities. The health sector included pharmaceutical companies, biotechnology firms, medical device manufacturers, hospital corporations, and more. With an aging population and advances in medicine, the health sector is poised to be a top performing sector for the foreseeable future. The reason health stocks are considered to be defensive is that they tend to hold their value better than the broad market during major declines. People still need their medication and to visit the doctor in recessions. The expense ratio for XLV is 0.14 percent or $14 annually for every $10,000 invested. Energy Select Sector SPDR (XLE): The energy sector can also be a quality addition to a diversified portfolio of ETFs. Energy includes companies that produce oil and natural gas. Since oil is a limited resource, energy prices are likely to trend higher, as will the prices for energy stocks. The expense ratio for XLE is 0.14 percent or $14 annually for every $10,000 invested. Utilities Select Sector SPDR (XLU): Utilities include companies that provide utility services, such as gas, electric, water, and phone to consumers. Like health, utilities are still needed by consumers during market downturns, which makes these stocks good defensive plays and smart diversification tools for almost any long-term portfolio. The expense ratio for XLU is 0.14 percent or $14 annually for every $10,000 invested. Consumer Staples Select Sector SPDR (XLP): If you want broader diversification of defensive stocks, the consumer staples sector is a good way to capture that objective. Consumer staples are items that consumers buy for daily living. Some of these include healthcare items, food, utilities, alcohol, and tobacco. The expense ratio for XLU is 0.14 percent or $14 annually for every $10,000 invested. The information on this site is provided for discussion purposes only, and should not be misconstrued as investment advice. Under no circumstances does this information represent a recommendation to buy or sell securities. Kent Thune does not personally hold any of the above securities as of this writing but he does hold them in some client accounts.